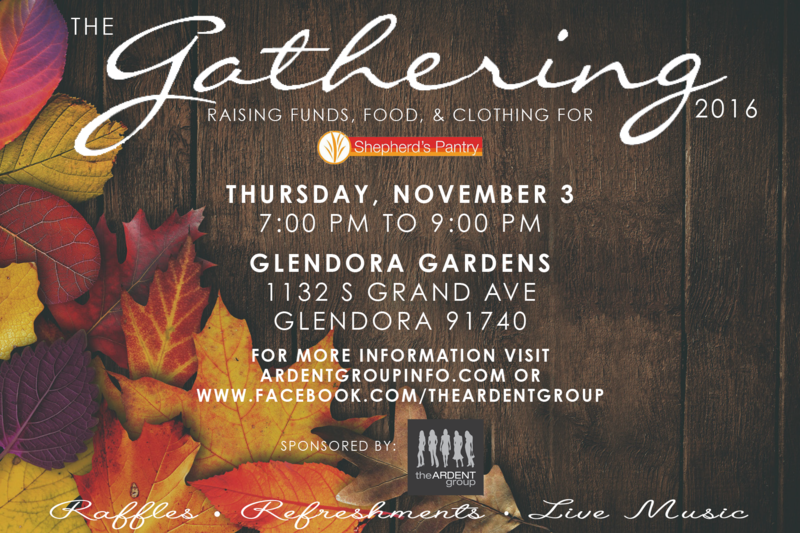 Glendora Gardens and The Ardent Group are pleased to invite you, your friends and family to our third annual The Gathering, a social event and fundraiser to benefit Shepherd's Pantry. Join us for a memorable evening filled with delicious food, refreshments, live music, great people and giveaways - all for a wonderful cause. 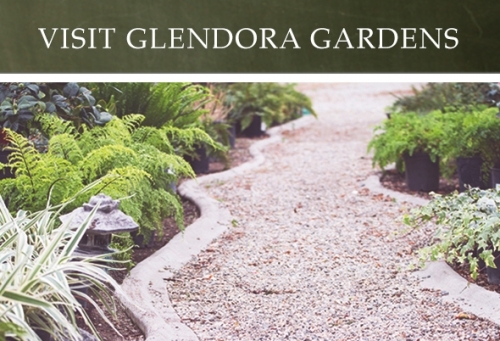 Come see the nursery as we light up the night! A $20 donation is suggested at the door. Also, tickets for some great raffle prizes will be sold throughout the evening. All prizes are valued at $100 or more, so don't miss out! Fall is a great time to clean up your closet and pantry. Even if you can't make it to the event, we'll gladly be collecting donations of non-perishable food items, toiletries, and clothing now until the event. Drop off your donations during business hours any day of the week.